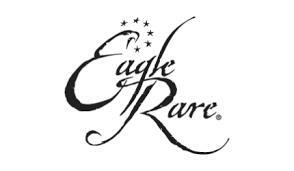 Eagle Rare was originally a 101-proof ten-year-old Kentucky straight bourbon whiskey (not single-barrel) from Seagram created by master distiller Charles L. Beam. Introduced in 1975, Eagle Rare was among the last new bourbon brands introduced prior to the current era of 'small-batch bourbons'. Eagle Rare has been distilled, bottled and/or marketed by a number of companies, including the Old Prentice Distillery of Frankfort, KY. The Sazerac Company, an American family owned producer and importer based in New Orleans, Louisiana, and the parent company of five distilleries, acquired Eagle Rare from Seagram in March 1989. Sazerac's Kentucky distillery was then known as the George T. Stagg Distillery. Today the distillery is known as the Buffalo Trace Distillery.